Understanding Bluetooth, blue dot, beacons, geo-fencing and more. 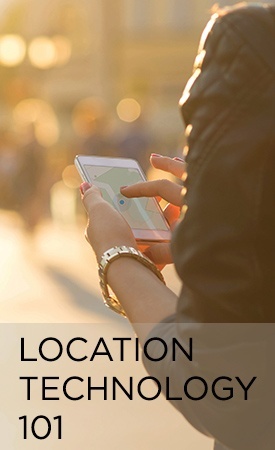 What does location tech mean for your business? The near-ubiquitous smartphone has built-in location technology most of us have used for navigation. But that’s only the start. There are a host of location-aware innovations—and other technologies—that have created new experiences for users and new opportunities for businesses. This eBook gives you a solid overview of the types of location technology and how they work together—so you can start envisioning the possibilities.